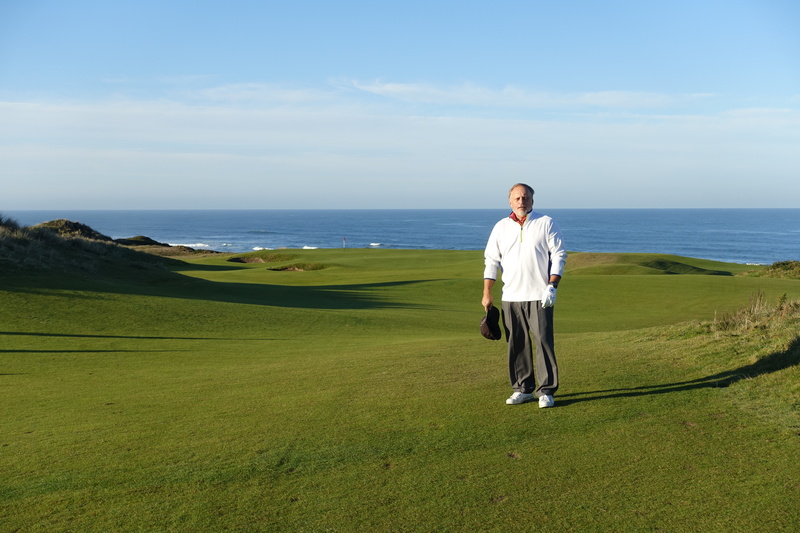 Like yesterday, I struggled through the morning round on Bandon Dunes with a just awful 98: no “blow up” holes but an endless string of bogey, double bogey. The afternoon on Old Macdonald was much better starting off with a six-over-par 40 on the front nine. I was kind of worn out mid way through the last nine holes but managed a par on the 18th to get in at 89, my best score at Old Mac. This entry was posted on 11-Nov-2014, 8:04 am and is filed under Golf. You can follow any responses to this entry through RSS 2.0. You can leave a response, or trackback from your own site.